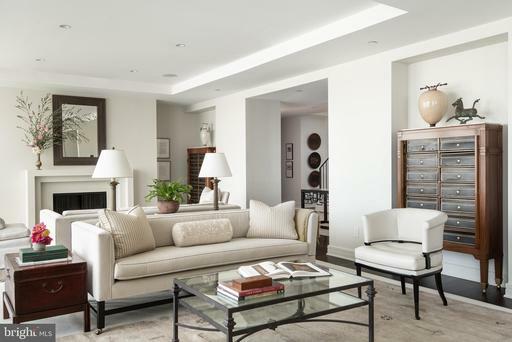 Stunning 4,500 SF 3BR/3.5BA 2-level penthouse with incredible interior design elements by Barry Dixon. Private elevator entrance opens to flowing first floor, including living room, formal dining room, family room, gorgeous library, and top-of-the-line kitchen. 3 fireplaces on main level. 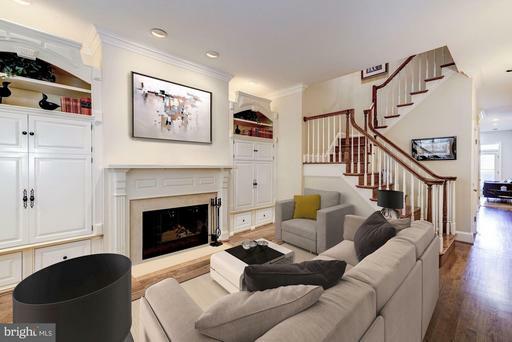 A sweeping staircase leads to the upper level, including the master suite w/two walk-in closets and large bath with double vanity, separate shower and soaking tub. 2 additional bedrooms and bathrooms, and large laundry room. Two main level balconies large 2nd level terrace. 3-car garage parking, oversized storage room, 24-hour front desk. 3BR, 3.5BA available in Eastbancs newest luxury project The Westlight. 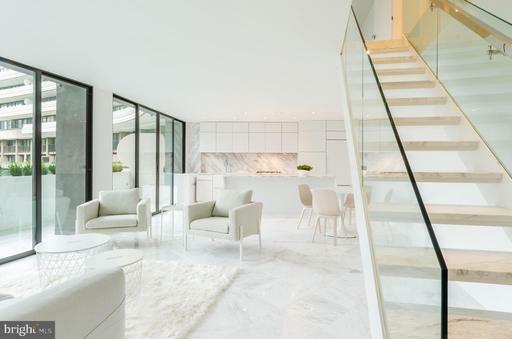 Amazing light from the floor-to-ceiling windows, sleek kitchens and baths. White glove service- 24hr concierge, doorman, porter, in unit engineer program, 2 garage pkg, a 25-meter roof top pool and a fitness center. 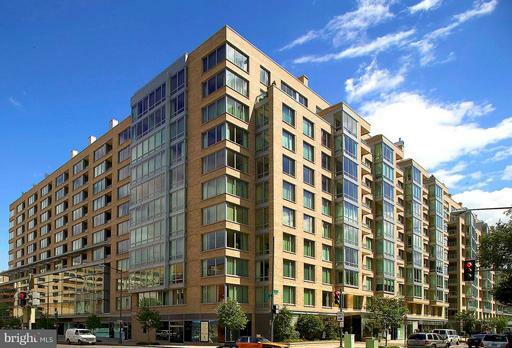 Walking distance to many fine restaurants, Kennedy Center, Metro. 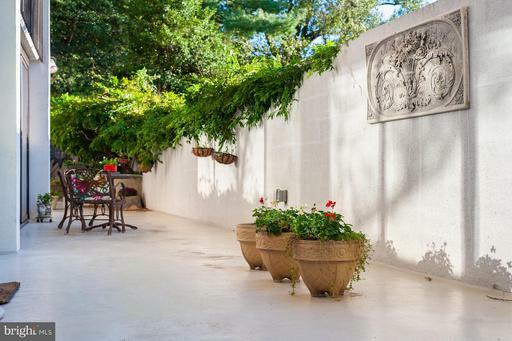 Spectacular 2,567 sq.ft. 3 BR, 3 BA corner unit in Westlight, Eastbancs newest luxury project. 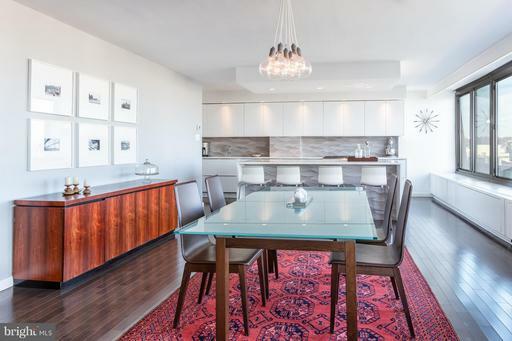 71 high-end condos with 49 floor plans in the heart of vibrant West End. Corner unit w light streaming through the floor-to-ceiling windows. Wood floors, energy efficient appl, recessed lights. 24-hour desk,concierge, wi-fi throughout, 25-meter roof top pool and patios, parking, fitness center. Stunning residence! 3BR+, 3BA available in Eastbancs newest luxury project The Westlight, three exposures North, South and West. 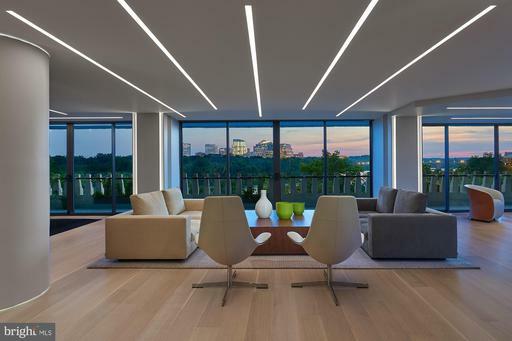 Amazing light from the floor-to-ceiling windows, sleek kitchens and baths. White glove service- 24hr concierge, doorman, porter, in unit engineer program, 2 garage pkg, a 25-meter roof top pool and a fitness center. 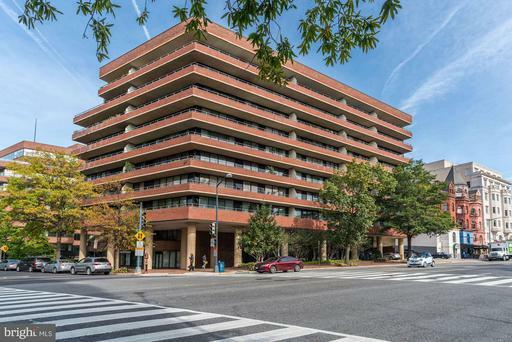 Walking distance to many fine restaurants, Kennedy Center, Metro. BEST VIEW IN WASHINGTON DC! Great river view from every main room! ~Premiere sought-after "01" tier floorplan! 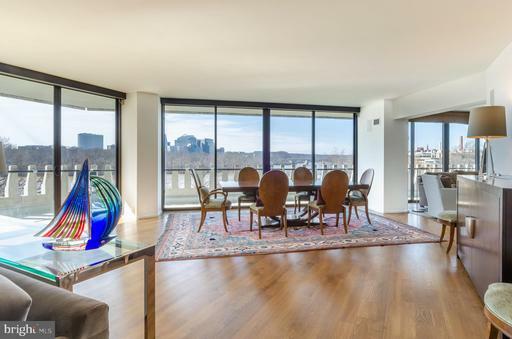 Fantastic panoramic view of Potomac river sunsets, Key Bridge, Kennedy Center and more! Long/wide balcony and NEW floor-to-ceiling windows surround entire perimeter. 2589 sq. ft. 3 bedrooms converted to a 2 bedroom with an open floorplan for living and entertaining. Renovated beautiful interior. Living room with beautiful wood floors and dramatic corner. Separate dining room. Chef~s kitchen with Viking Professional Range with pot filler, Fisher Paykel dishwasher drawers, GE Monogram refrigerator, wine refrigerator. Marble master baths with ~walk-thru shower~ and luxurious tub with extra powder room/vanity and 2 large closets. Pantry, washer/dryer and second entrance. Parking space can possibly hold 2 cars. Ask agent about underlying mortgage of $110k included in total monthly fee. Property taxes, utilities and more included in monthly fee. Great building recently renovated with sparkling lobby, sundeck, pool, fitness room, 24 hour desk and doorman service. 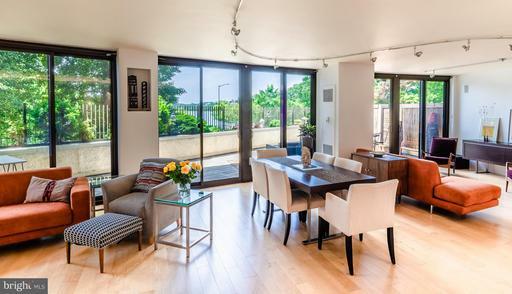 New to the market is this TWO BEDROOMS WITH DEN Watergate East Penthouse. 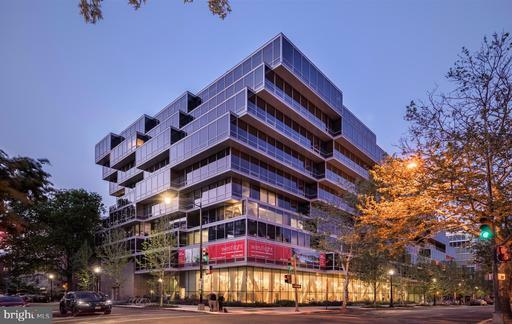 Watergate East is one of Washingtons most distinguished co-ops and listed as a "Best Address" building. 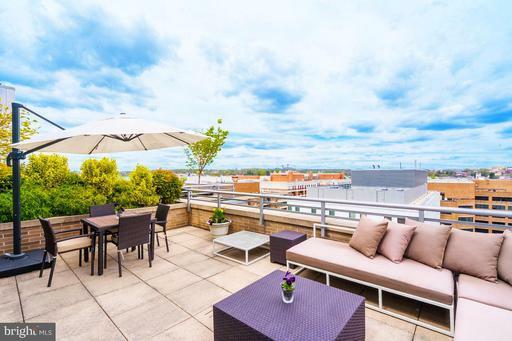 This lovely and scaled apartment is perched on the top floor and offers the new buyer 2,698 sq/ft of living space and 982 sq/ft of balcony space with breathtaking panoramic views of Washington, DC. The unit has an open floorplan and new kitchen designed for gracious living and entertaining. Watergate East is a full-service co-op with doorman, fulltime front desk, on-site management and walking distance to Whole Foods, Metro, GW University and the Kennedy Center. 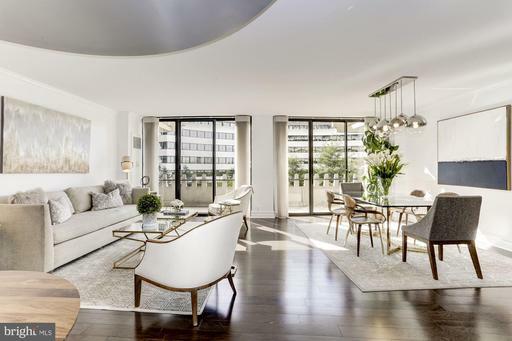 An impeccable renovation marks this stunning 2 Bedroom and Den, 2.5 Bathroom, 3,200 square foot residence at Watergate South, Washingtons most iconic and storied mid-century modern residential building. 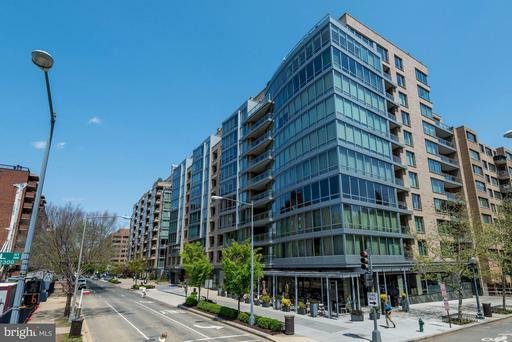 An expansive floor plan, gourmet kitchen with luxury appliances, custom cabinetry and built ins, wood floors, and 2 parking spaces are complimented by a breath taking view of the Potomac River and the Kennedy Center. Stunning residence! 3BR+, 3BA available in Eastbancs newest luxury project The Westlight. 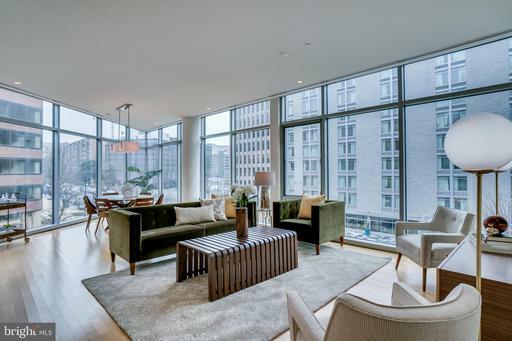 Amazing light from the floor-to-ceiling windows, sleek kitchens and baths. White glove service- 24hr concierge, doorman, porter, in unit engineer program, 2 garage pkg, a 25-meter roof top pool and a fitness center. 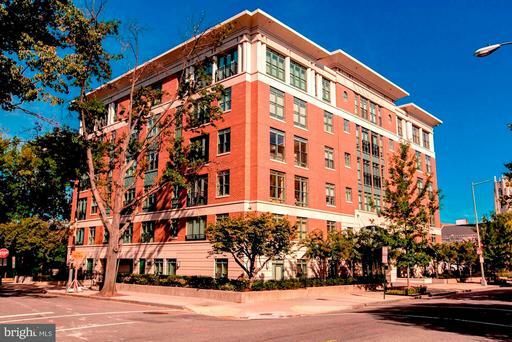 Walking distance to many fine restaurants, Kennedy Center, Metro. 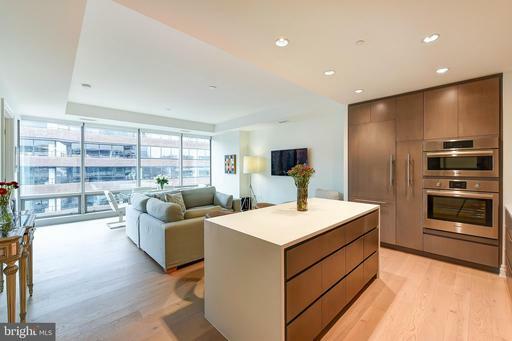 Rarely available 3 BR/3 BA + Den w/ balcony on a high floor in one of DCs premier, luxury buildings. Spacious open floor plan features 9.5 ft ceil., oak flrs, expansive windows, top-of-the-line finishes, Poggenpohl kitch w/ granite counters Waterworks baths. 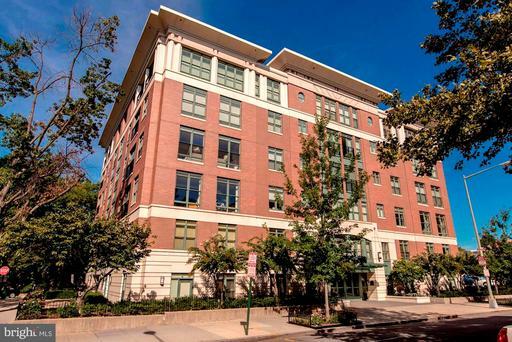 Building offers a stunning rooftop pool, gym, conf room, 24hr concierge.2 car gar prkg+storage. Fee includes ALL utilities+Cable+Internet. 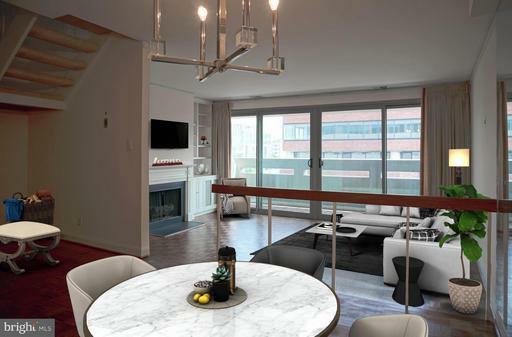 Stunning 2 BD/ 2 BA +Den home available in Eastbancs newest luxury project,The Westlight. 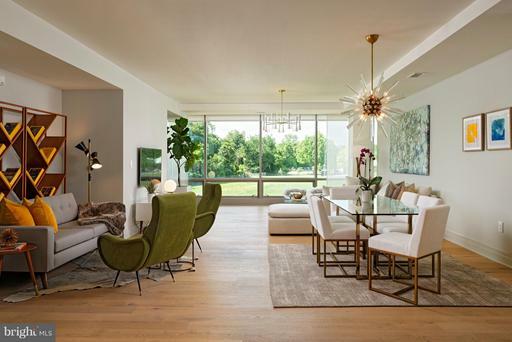 Gorgeous floor-to-ceiling windows, sleek Italian kitchens and spa inspired baths. The Westlight offers true white glove service: 24 hour concierge, doorman, porter and in-house engineer. Amenities include: 25 meter lap pool, sun deck, club room; grilling stations and fitness center. Walk score: 98. PRICED WELL BELOW COMPS! 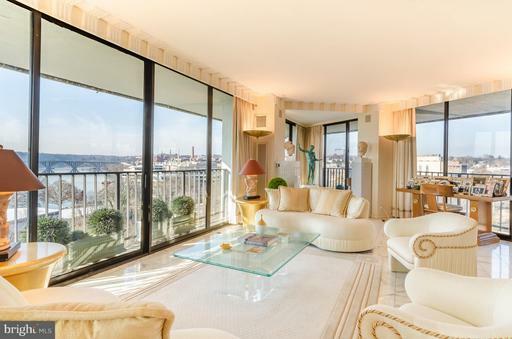 Truly stunning apartment on the coveted point of 22West with walls of floor-to-ceiling windows. 2BR+Den or 3rd bedroom/3 full baths. 2-car parking plus storage. Building has 24-hr front desk concierge, rooftop pool and sundeck, party room, and fitness room. 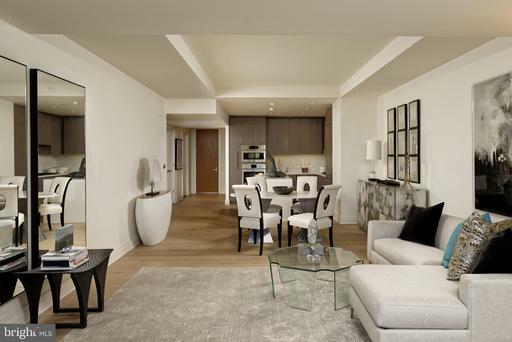 Stunning 2 BD/ 2 BA +Den home available in Eastbancs newest luxury project, The Westlight. 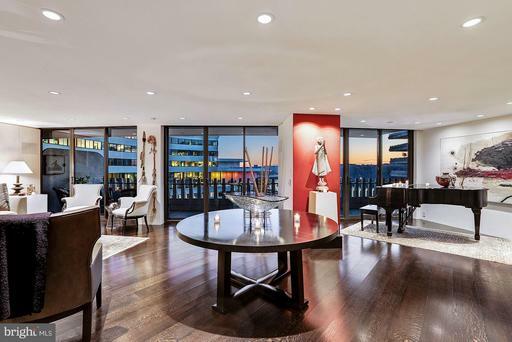 Gorgeous floor-to-ceiling windows, sleek Italian kitchens and spa inspired baths. The Westlight offers true white glove service: 24 hour concierge, doorman, porter and in-house engineer. Amenities include: 25 meter lap pool, sun deck, club room; grilling stations and fitness center. Walk score: 98. 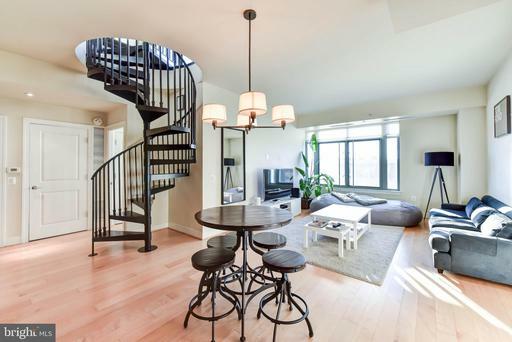 Gorgeous 2BR+Den/2BA penthouse at 22West with a gourmet kitchen, owners suite with enormous walk-in closet and dressing area, guest suite, expansive open living space, separate laundry room, and private balcony facing the sought-after New Hampshire Avenue side of the building. Building has 24-hour front desk concierge, rooftop pool and sundeck, fitness room, and party room. Parking space #s 1002 and 1012. Storage space #1002. 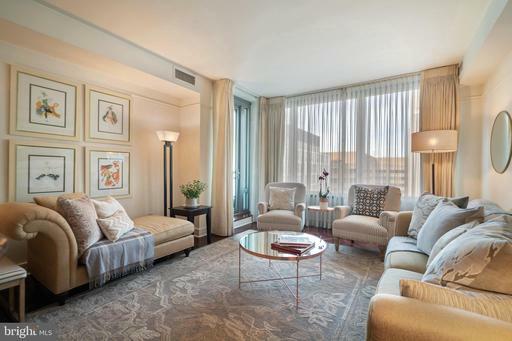 RESIDENCES AT THE RITZ-CARLTON! 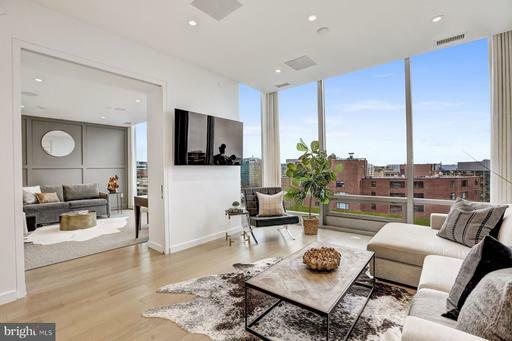 Featuring 1800+ SF, this 2 BR, 2.5 BA luxury condo has an open SUNLIT floor plan w/expansive windows, herringbone wood floors, custom built-ins, top of the line finishes throughout! Apt incl. foyer, spacious LR, formal DR, gourmet kit, office/bedroom suite w/wall of built-ins, master ste 1 car pkg! 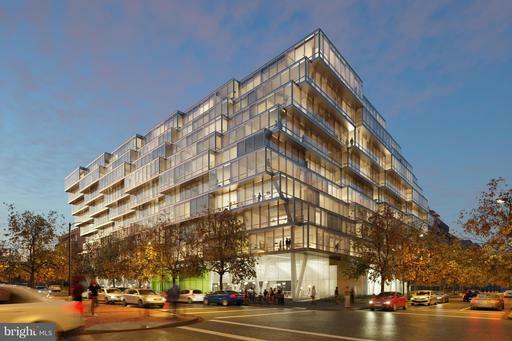 INCREDIBLE bldg amenities w/valet pkg, concierge, more. 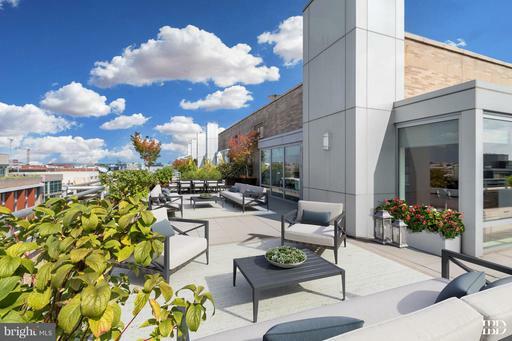 PENTHOUSE LISTING AT THE COLUMBIA! 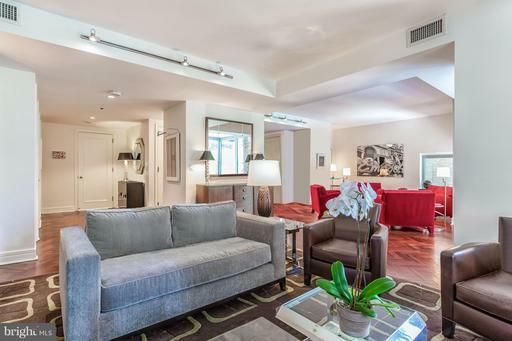 Gorgeous 2-level apartment with open floor plan, nice owners suite with double sinks, shower, and separate tub, and upper level family room that opens to the private roof terrace. 2-car parking included. Weekend showings need to be after 2pm. Virtually staged. Replace spiral staircase with a lift. Approximately $35k to install. HIGHLY MOTIVATED SELLER! VIEW FROM THE TOP! Eastern exposure. 240 SF Terrace! 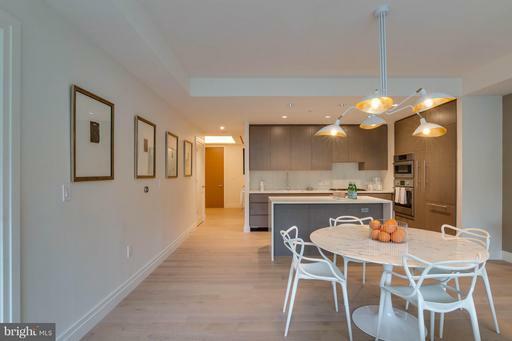 1789 SF ENTERTAINERS PENTHOUSE 2 BR, 2 BA DUPLEX! Blu Ray player, Bose 5.1 surround sound,Wet bar,ice maker, flex floor plan. WALLS of WINDOWS! 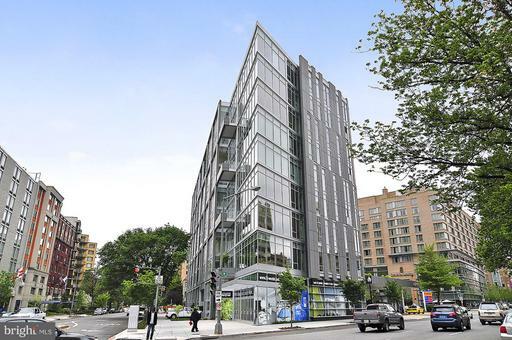 2 PARKING, Interior Storage, gleaming marble baths,Island Kitchen: Sub Zero, Viking gas range DW, new MW, Trader Joes in bldg., Concierge, Gym,Security, 3 guest suites. MAKE AN OFFER! Live on Pennsylvania Avenue! 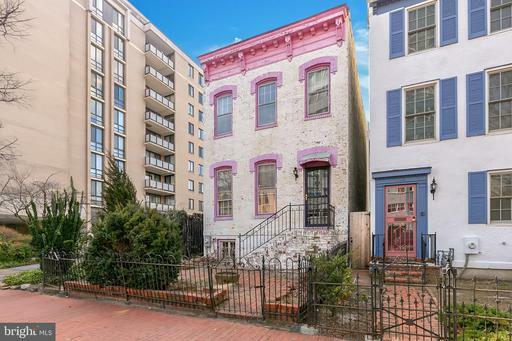 Perfectly situated on the border of Georgetown and West End. 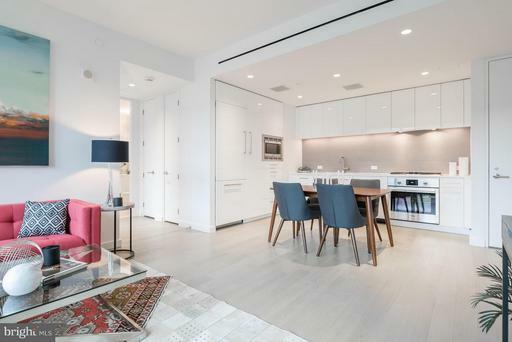 Fully renovated in 2015, this 2 Bedroom / 2Bath home at the Westbridge Condominium offers approximately 1,600 square feet of living space with a gourmet chefs kitchen, granite counters and marble backsplash - open to a large living area with separate dining space. An expansive balcony can be accessed from both bedrooms as well as the main living area. The condo offers acacia hardwood floors, renovated baths and kitchen, and redesigned layout of storage and custom closets. Garage parking and convenient storage room included. New fitness center, Pool, 24-hour front desk and rooftop with panoramic city views. 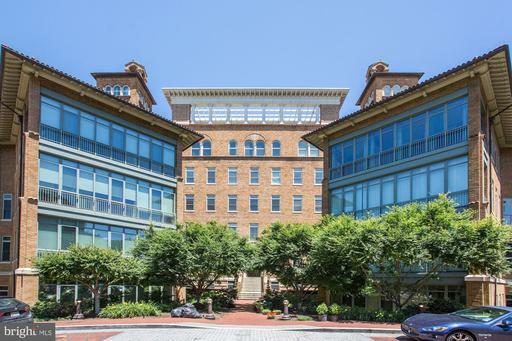 One block to Georgetown, waterfront, as well as the many restaurants and shops of West End, including Trader Joes! Beautiful 2BR/2BA at coveted new Westlight with courtyard views throughout. Featuring high ceilings, recessed lighting, gourmet kitchen with top-of-the-line appliances, and wood floors. Building has front desk concierge, amazing 25-meter rooftop pool and sundeck, fitness center, party room, and breathtaking lobby with 50 living green wall. Reserved parking included. 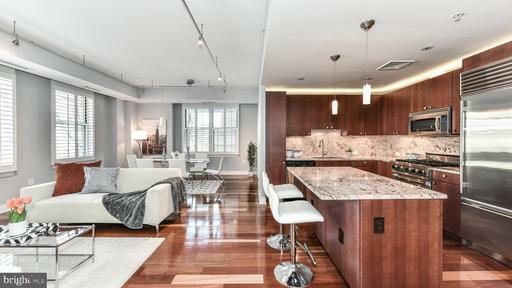 **OPEN SUN, APRIL 7 FROM 1-4**Located at one of DCs most distinguished addresses, this spacious 3BR/2BA residence is complete with luxury features, top of the line appliances, generous amounts of storage and indulgent amenities. The sunny, corner unit is flooded with natural light that shines on the impeccably maintained hardwoods. Custom lighting highlights and custom plantation shutters compliment the space. Enjoy entertaining in a gourmet kitchen with Viking and SubZero appliances that also boasts Poggen Pohl, soft close cabinetry, a full granite backsplash and center island with seating and storage. A front-loading LG washer/dryer was installed in 2016. The master bedroom features a walk-in closet with built-in dresser and shelving. Three additional customized closets with built-ins provide abundant room for storage, a rare DC find. The master en suite features a double sink, marble counters, Poggen Pohl vanity, stone floors, glass shower and soaking tub. Garage parking and separate storage unit complete the package. Top-notch amenities at The Columbia include 24-hour front desk, concierge and security. 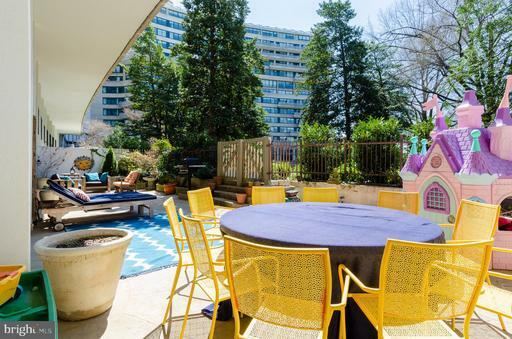 Summers can be enjoyed from rooftop pool and sundeck with sweeping city views. The building also provides a fully equipped fitness center, billiards room, underground access to Trader Joe~s, and guest suites for friends and family. 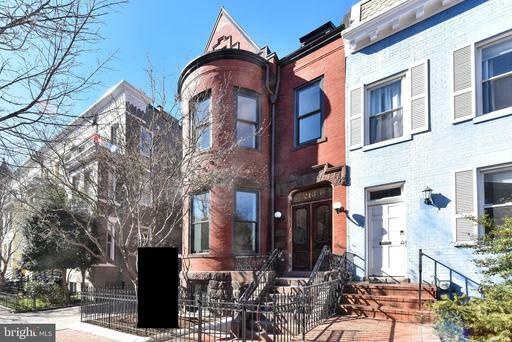 This West End home is easily accessible via the Metros Orange/Blue lines at Foggy Bottom and numerous bus stops for both the Metro Bus and Circulator. 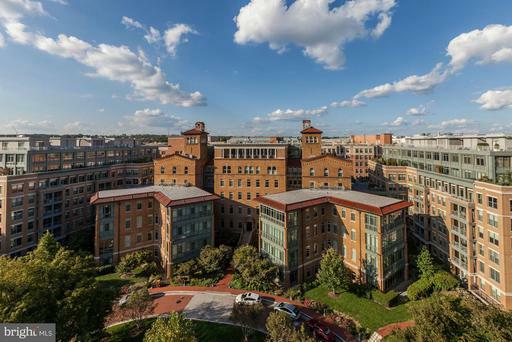 A short walk over the M Street Bridge provides access to all that Georgetown has to offer. Walk Score 96! 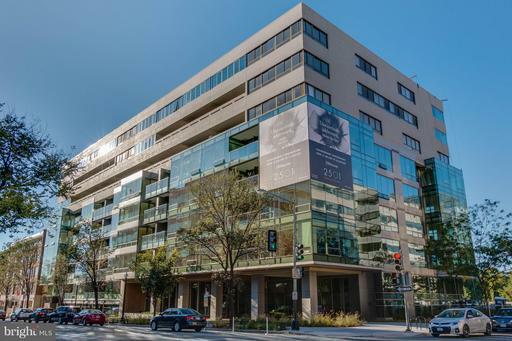 Watergate "townhouse-style" 3 BR 2.5 BA w private, yard-sized terrace gas grill overlooking Potomac River view.2,092 sq ft Completely renovated , custom built-ins, beautiful wood flooring, NEW windows, gourmet open kitchen, Italian Snaidero cabinetry, Miele Subzero appliances. Custom closets, renovated baths. 24 hr desk W/D, 1 PKG. Convenience of Watergate w/private outdoor space.